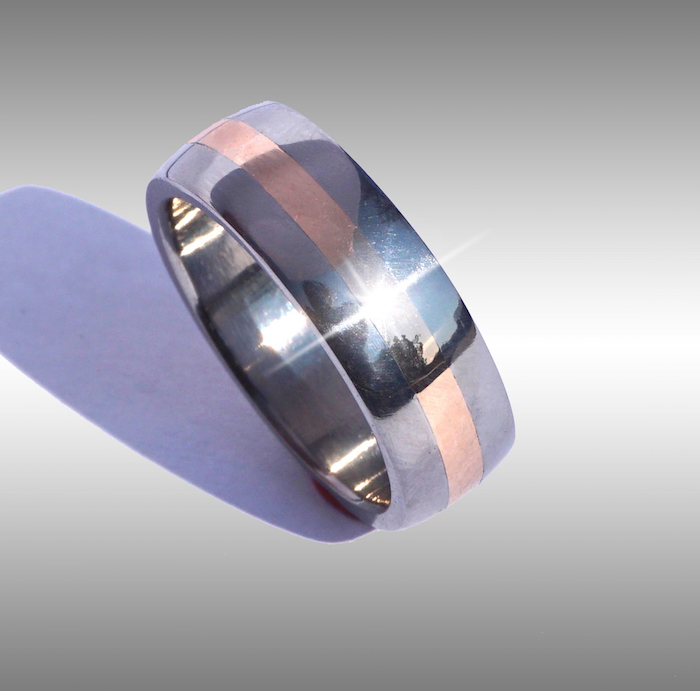 Custom-made, Seamless SR-71 RingTM Style #1005 with 18k rose gold inlay shown in size 9 x 7 mm width. Current price (up to size 12 x 5.5mm width) $1595.00. For wider or larger rings please enquire. Our SR-71 rings are also available inlayed with yellow gold, white gold, or platinum either with rails or without rails. Please enquire for current pricing on these options. These rings are hand made so that no two rings will be exactly alike. They are custom-made to order and can take from 5 to 8 weeks to complete so please plan accordingly.